It's Tuesday evening, I am sure you know the haze is bad for our skin. Don't forget to drink plenty of water and wear mask if you are going out. After attending the Avene beauty workshop, I like to share my goodie with my readers. Your chance to win a pack of facial mask of 15 woven pieces. A bottle of Eau Thermale Avene Spring Water travel size 50ml. First take a sheet of facial mask on your palm, then use the Eau Thermale Avene Spring Water to spray on the sheet to make it wet before apply to your clean face. After applying the mask you can spray on face to make it wet if you find the mask not wet enough. To part March Top Commentator, you need to be GFC follower of this blog and follow me on bloglovin. Click on the right bar of this blog to follow. You will need to have valid address in Malaysia to take part. March Commenting ends on 31 March 2014, 12 midnight. 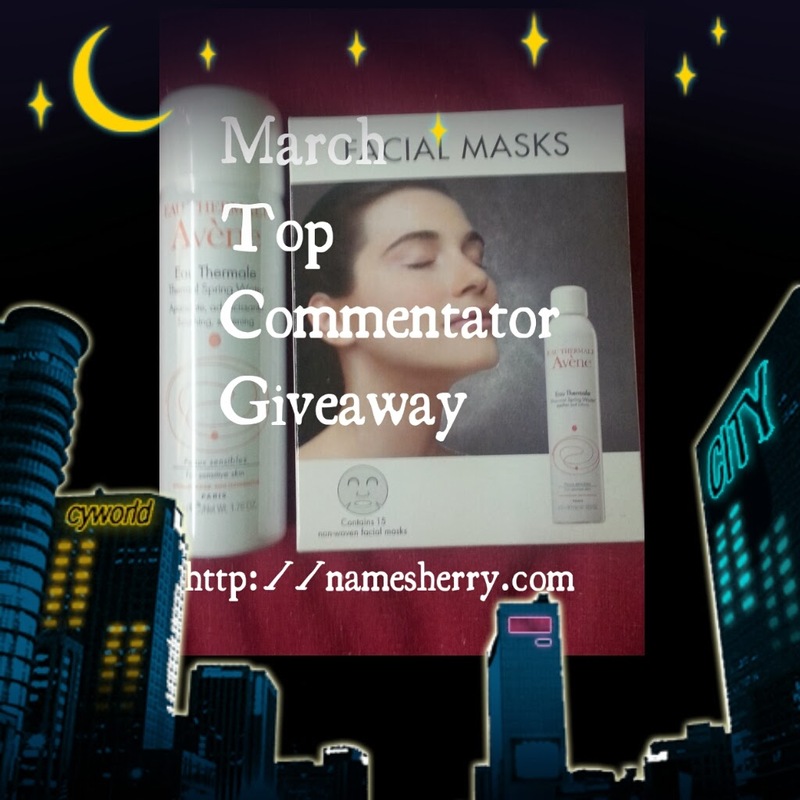 The Top Commentator in March will win this set of Avene skin care. Some people are hesitate to purchase because they are not sure if the products are suitable for them. Now there's chance for you to try, don't let this chance slip by your hands! Don't forget you can also to take part the namesherry giveaway which ends on 16 March 2014. @Princess Neverland, you can if you comments more. both of you are racing. @Amirah, you now with 89 comments. Is it this post to check how many comments Sherry?? @mNhL, you are not alone hehe..
Wow! Great prize Sherry. Good luck to everyone. Btw I have added you in my blog list. It's amazing that you count the comments manually! ouh really? i thought there is a widget counter..
Great prizes! First visit and follow ur blog dy! Hi, thanks for visiting my blog. Nice to meet you.